Cooper currently plays Principal Tuba for the New West Symphony, and has performed with many other orchestras, including the Los Angeles Philharmonic, Santa Barbara Symphony, and the San Diego Symphony. Alongside this, Cooper is also Music Director and Conductor for the Harmony Project’s Regional Youth Orchestra. 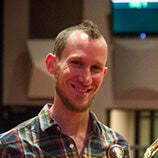 “I use the Wessex Cimbasso exclusively for all my Cimbasso needs, whether on stage or in the recording studio. “Specifically, I have the Wessex F Cimbasso CB90 with Rose Brass Bell and it is Fantastic! I love it, my section mates love it, contractors here in LA love it, and composers love it.